Can you down 17 hamburgers in 10 minutes? 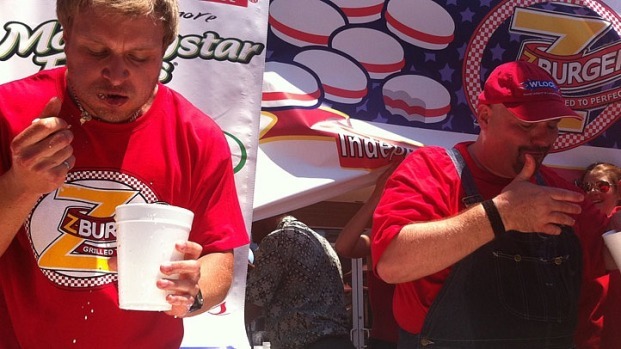 Nothing says Fourth of July quite like burgers and competitive-eating contests. But forget Coney Island's hot dog-eating contest. D.C. has its own tradition. Z-Burger is hosting its fourth annual Independence Burger Eating Contest at noon on July 3 at its Tenleytown location. 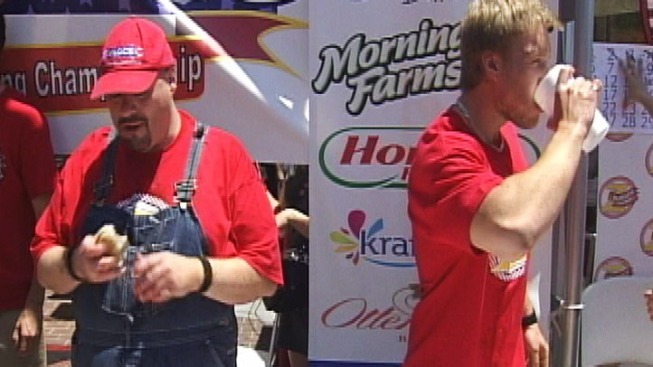 And the burger joint is looking for contestants willing to down 17 hamburgers (or more) in 10 minutes. Z-Burger is inviting both professional and amateur eaters to participate for some serious prizes. First prize is $1,000 cash and $1,000 in Z-Burger tokens, while second place wins $750 of each, and third place wins $500 of each. All winners will receive custom trophies, and they have the option to donate their food prizes to local charities of their choice since, you know, they may not want to eat another burger for a while. Participants aren’t the only ones who’ll be winning. Audience members will be treated to a free burger and other Americana food samples. Those interested in participating can visit www.zburgercontest.com or email zburgercontest@gmail.com. Include in the email your name, age, address and why you want to be in the contest.